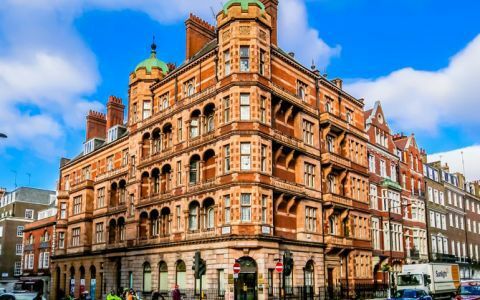 Our serviced offices on Harley Street are located centrally just behind the famous shopping area of Oxford Street. The building is a Grade Il listed building with original features around the building. The London West End serviced offices are surrounded by the finest shops, restaurants, banks and hotels. The closest tube stations are Oxford Circus (Central, Victoria & Bakerloo lines) and Bond Street (Central and Jubilee lines) and there are numerous bus routes servicing the area. The centre is run by a 3 person friendly team who are happy to assist you with catering, meeting room bookings, administration and all other business services. The London Serviced Offices are just a short walk from Oxford Circus and Bond Street Underground Stations. Car parking is also nearby if you wish to travel by car. Easy Offices Where is the nearest public gym to Harley Street? Easy Offices Where is the nearest coffee shop to Harley Street? Easy Offices Where is the nearest place to get lunch near Harley Street? Easy Offices Where is the nearest car park to Harley Street?